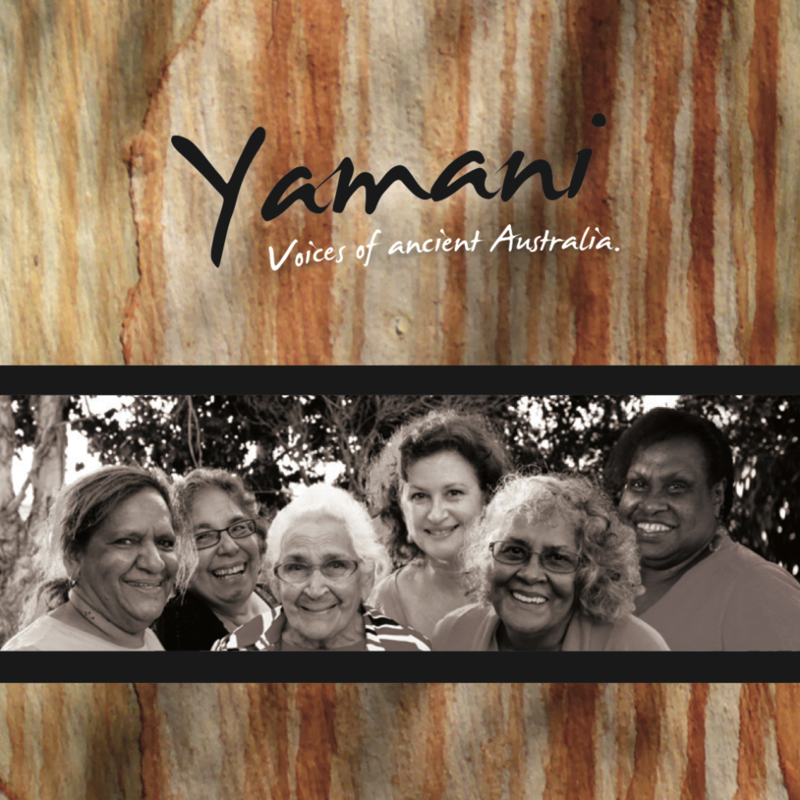 Yamani – Voices of an Ancient land, can be purchased for $25 plus $7.50 shipping from Wantok Musik. This includes the CD and cover booklet with all the lyrics and translations, along with unlimited streaming via the free Bandcamp app, plus high-quality download in MP3, FLAC and more. Alternatively, you can sample the digital album and download it in various formats for $15, or $2 per track. 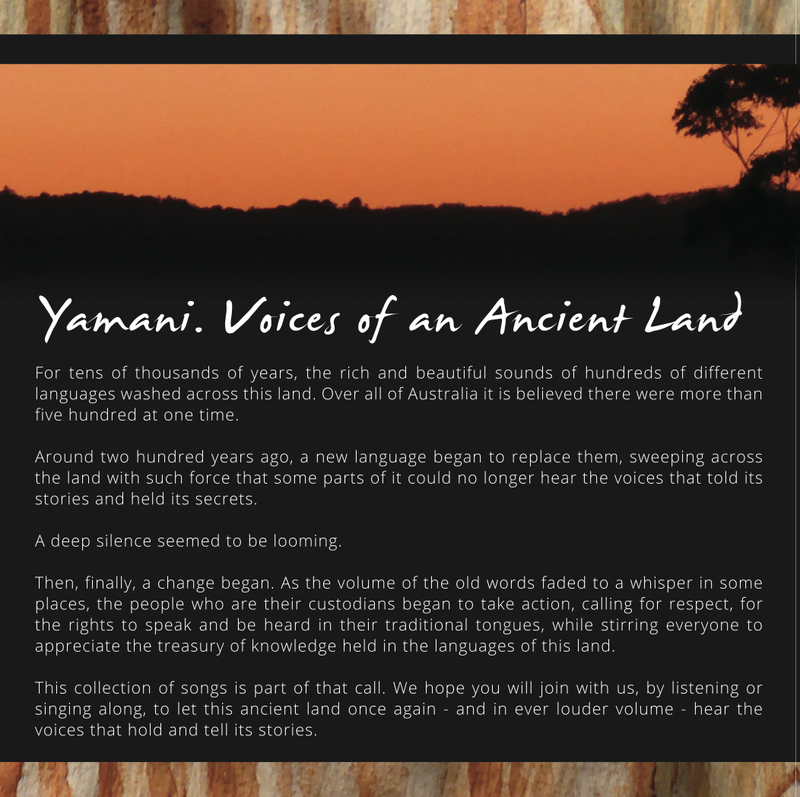 Join with us, by listening or singing along, to let this ancient land once again – and in ever louder volume – hear the voices that hold and tell its stories. 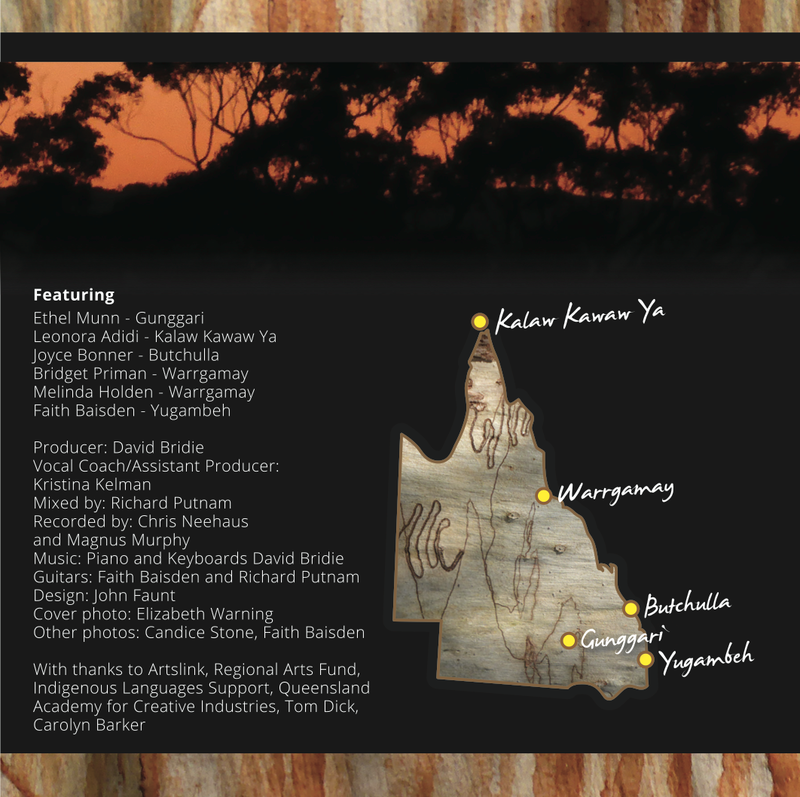 The project was made possible by the Australian Government’s Regional Arts Fund, which supports sustainable cultural development in regional, rural, and remote Australia to give artists and communities’ better access to opportunities to practice and experience the arts.